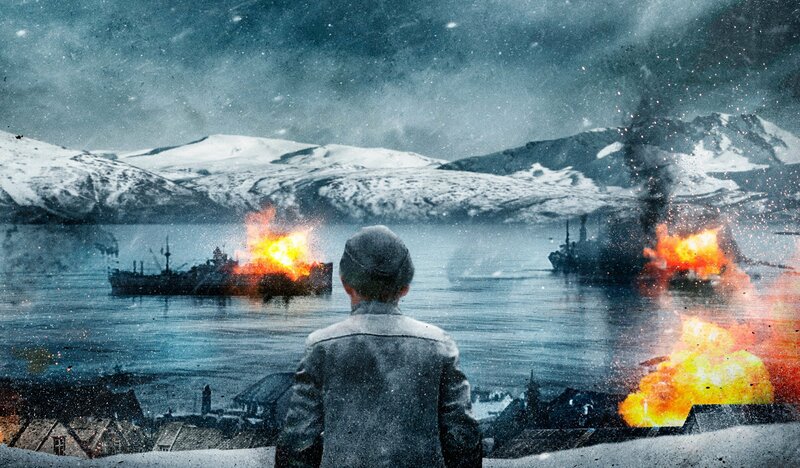 The top contribution - €1.55 million – goes to Norwegian director Andre Øvredal’s World War II epic, Narvik – Hitler’s First Defeat. 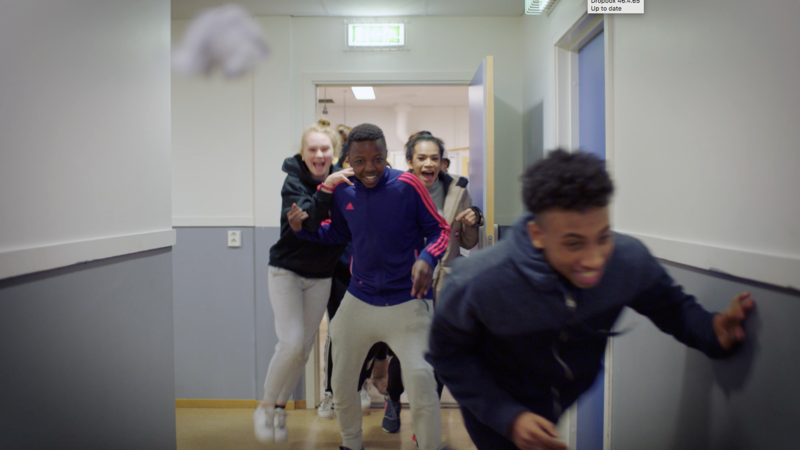 The Norwegian Film Institute will support the production of five features and two documentaries by a total of €5.06 million (NOK 49 million), including two titles from the market scheme: films with an audience potential over 200,000. A record number of 18 projects had applied for “production funding for films with a strong audience potential” – one of these were Norwegian director Andre Øvredal’s World War II epic, Narvik – Hitler’s First Defeat, which received this year’s top grant of €1.55 million (NOK 15 million). Also Norwegian director Tommy Wirkola, whose action-comedy-horror Dead Snow: Red vs. Dead (Død snø/2014) gained him 15 awards on the international festival circuit, has been working on a film project about the early World War 2 events in northern Norway, but it is likely to be discontinued. On 8 April 1940 German warships are approaching the Norwegian city of Narvik, and local resistance cannot stop the Nazi occupation. But Norwegian major Sigurd Omdal and his 250 soldiers continue the struggle in the Arctic landscape, and on 28 May Norwegian and French forces regain the city after intense battles: the Germans have to flee. Narvik is flattened by German bombs, before Norway capitulates on 8 June, but the battles were not in vain: they showed that Hitle’s war machine was not invincible. Øvredal’s multi-award-winning feature debut, Trollhunter (Trolljegeren/2010), was followed by several US films, including The Autopsy of Jane Doe (2016), Scary Stories to Tell in the Dark and Mortal (both in post). For his war epic the institute will chip in NOK 15 million – total budget: 63.8 million. There are few fairytale films with female and active leads, but in Mosli’s new interpretation of the Czech Christmas classics, there is no Rapunzel sitting in the tower and waiting for her price – the princess for the new millennium has an engagingly sassy dialogue, and she takes control of the situations herself. The award-winning actress has directed episodes for several local and foreign TV series, including Norway’s Mammon (which received an Emmy) and ABC Studios’ American Grey’s Anatomy. Her first feature will receive NOK 7 million institute support – total budget: NOK 38 million. “A film for adults and a shocking journey into the secret world of children” is how Vogt’s second film as a writer-director is introduced. “Hidden from their parents’ attention four children develop their innocent play into something else - with magic and creepy things start happening. A directing graduate from Paris’ La Fémis – France’s national film school – Vogt’s feature debut, Blind (2014), won him the World Cinema Scriptwriting Award in Sundance, before it toured the international festival circuit to return with another 16 prizes. Since 2006 he has co-written four scripts for Joachim Trier to direct. The Innocents will be supported by NOK 11 million – total budget: NOK 29 million. 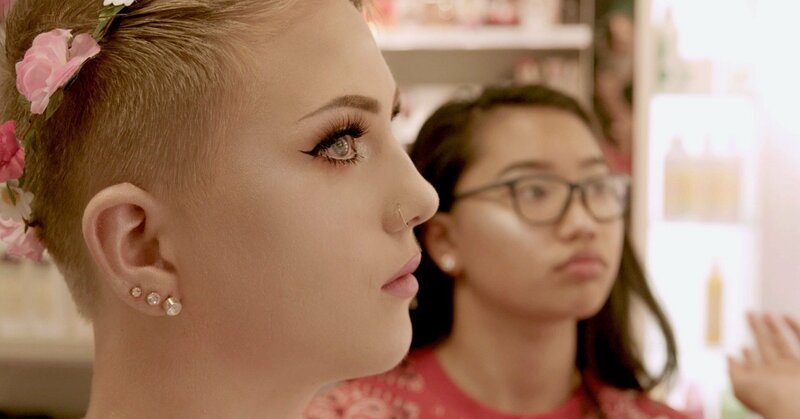 15-year-old Mariana grows up in a multicultural suburb on Oslo’s east side. Like most teenagers she wants to do good in school, be popular and get herself a boyfriend. But life is tough, girls have to fight for their right to be themselves – and family life does not get easier, when Mariana’s older brother joins a dangerous military operation in Afghanistan. NOK 7 million – total budget: NOK 12.25 million. T will be subsidised by NOK 7 million – total budget: NOK 12.25 million. When single mother Elin is on a fishing trip with her two kids, six-year-old Ulrik falls into the river and is lost in the heavy streams. Elin is left with her 10-year-old daughter Storm, struggling to get their lives back on track, when a schoolmate claims she has seen Storm deliberately push her brother into the river. The accusation quickly spreads in the small community. Elin fiercely defends her daughter, but as her own narrative waivers, she is forced to face the truth about what really happened on the fishing trip that day. A graduate from Norway’s National Film School, Calmeyer has most recently directed four episodes of the TV series Twin with Kristofer Hiovju in the lead, which NRK will air this year, and she will write-directed the Norwegian pubcaster’s upcoming series Nudes. Her feature debut is backed by NOK 6.8 million – total budget: NOK 21 million. 16 follows the lives of four young boys who are the first in their circle to be openly gays - seen from the youngest teenagers over four years. The two youngest were 12 years old, when the first scenes were shot – how do they deal with life, school, friends, love? - Kenneth Elvebakk, whose Dancers (Ballettguttene/2014) was a festival hit, will here receive NOK 1.8 million backing – total budget: NOK 6,011 million. ”The film will portray a masculine and warm human community struggling to preserve and further develop the orchestra - for men only”: the iconic, traditional and much beloved Kampen Janitsjar Orhestra is one of the few pure male orchestras in Norway. Founded in 1929 in the Oslo neighbourhood of Kampen, it intoduced swing music in the streets in the 1950s. – An educated cinematographer from Norway’s National Film School, Janne Lindgren both directs and photographs her documentaries; this time she will be supported by NOK 460,000 – total budget: NOK 1.99 million.